Lemon balm tea was introduced to North America by Europeans in the 16th century. Lemon balm is a perennial herb that belongs to the widely popular mint family along with many other aromatic herbs, such as sage, rosemary, peppermint, and basil. The first reported uses of lemon balm date back to 300 BCE, when it was employed for religious purposes in Greek temples dedicated to the earth-mother Rhea, and its medicinal applications appear in ancient Roman treatises. Lemon balm's popularity has continued in such a way that a Carmelite water recipe from the 14th century is still sold in its original form in German pharmacies. When the first pilgrims brought lemon balm to North America, they used it to make potpourri and tea, with the main purpose of attracting bees for honey production, and also as a replacement for lemons in jams and jellies. 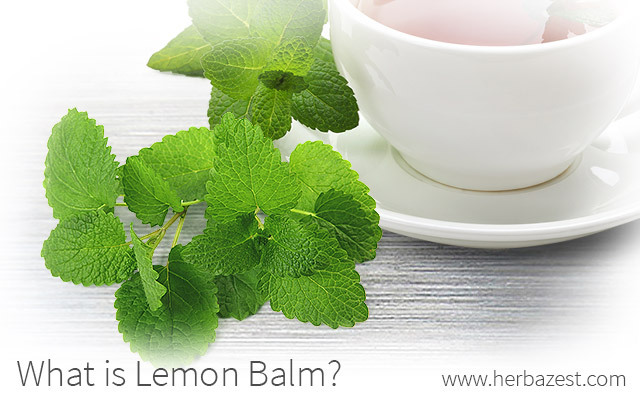 Besides its medical applications, lemon balm is widely used in perfumes and cosmetics, as well as in the food and beverage industry to flavor a variety of products. THE USE OF LEMON BALM ESSENTIAL OIL IS VERY POPULAR IN AROMATHERAPY. Lemon balm is a member of the Lamiaceae family, also known as the mint family, and its scientific name is Melissa officinalis. The genus name of lemon balm, Melissa, comes from a Greek word meaning bee, due to this herb's ability to attract bees. Lemon Balm has many other common names, such as balm, English balm, balm mint, common balm, melissa, sweet balm, heart's delight, and honey plant. Many cultivars of lemon balm are cultivated across the world, some of the most popular being 'Citronella', 'Quedlinburger', 'Lime', 'Variegate', and 'Aurea'. As well as other species from the mint family, lemon balm is very easy to cultivate, which makes it ideal for beginners. It just needs well-drained, rich, sandy soil, full sun exposure, and a temperate climate to thrive. Lemon balm can grow eight inches to five feet (20 - 152 cm) tall, and its flowers are tiny, pale yellow, white, and pinkish. What makes lemon balm different from other mint species, which propagate by underground runners, is the fact that it self-spreads by seeds in such a way that some gardeners consider it a weed. To control lemon balm's growth, it can be planted in containers and propagated by cuttings. Being a perennial herb, it can be enjoyed all year around, except in colder areas, since it doesn't tolerate freezing temperatures. Lemon balm's popularity is mainly due to its mild lemony flavor and aroma, which come from its various aromatic compounds, especially citral, citronellal, and other phytochemicals, including geraniol and linalool. Lemon balm is very well known for its health benefits, mainly due to its polyphenolic compounds, such as caffeic, p-coumaric, and rosmarinic acids. It is commonly used to treat anxiety and insomnia, as well as viral infections, such as cold sores caused by the herpes simplex virus. Lemon balm tea is easy to find in grocery stores and local markets, as well as online retailers. Lemon balm essential oil, tablets, and gel capsules are popular products in herbal stores, and they can also be bought through the internet. Knowing what is lemon balm, as well as being aware of its medicinal benefits is necessary to understand this frequently overlooked herb. The popularity of lemon balm to safely treat common health issues, its easy cultivation, and its many applications make of this herb a must-have in every herbal cabinet and garden.